Borussia Dortmund have brushed off suggestions from Bayern Munich president Uli Hoeness that the Bundesliga leaders are favourites for Saturday's showdown as mind games started between Germany's top two clubs. 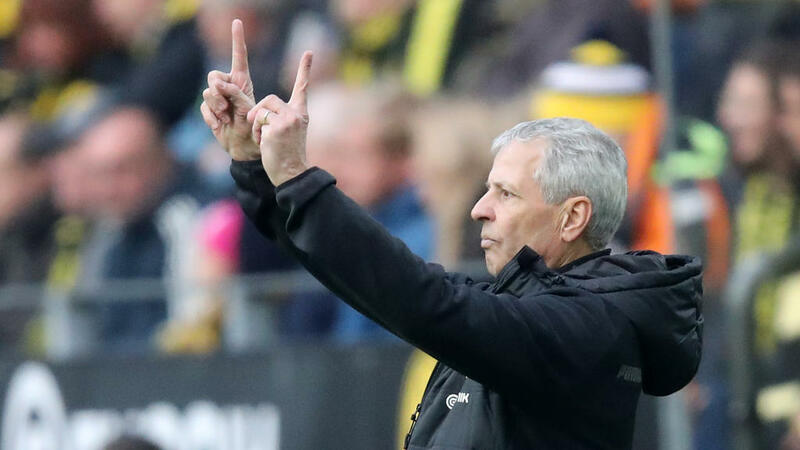 Lucien Favre's Dortmund have a four-point lead over defending champions Bayern ahead of the match at Signal Iduna Park, leaving Hoeness to insist: "we're the outsiders". But even though Dortmund are the only team in Germany's top flight still unbeaten this season and are closing in on a club record run without defeat from the start of a season, their director of sport Michael Zorc rejected the idea that Bayern can be considered underdogs. "For the first time in a long time, we face FB Bayern as leaders in the table, but that doesn't mean much. The favourite doesn't get an extra goal," said Zorc in Thursday's press conference. "We have heard what has been said, but we don't care -- we are just enjoying the situation. "It doesn't make much sense to compare (Dortmund with Bayern), they have won the last six Bundesliga titles." Dortmund go into the weekend's clash having been second best all over the pitch in their 2-0 away defeat at Atletico Madrid in the Champions League on Tuesday. "We have good reasons to go into the game with confidence, but of course we have to play better than we did at Atletico," added Zorc. If they avoid defeat to Bayern, Dortmund will equal their club record start of 11 league games unbeaten established in 2002/03, but Favre says his youthful side still has much to learn. "We have made progress, but there is still a lot to do, especially tactically," said Favre. "We have a lot of plans, but we have a lot of young players and they still need time."